Home - Western Irrigation, Inc.
Be sure to get your RPZ/Backflow tested for 2019 too! We test all valve types! Whether your current system is in need of upgrading, repairs or general maintenance, a knowledgeable service technician will evaluate your current system, bring to your attention any repairs or changes that could be made to provide you with the most efficient irrigation system. Western Irrigation has over 18 years of experience in the backflow industry and maintains thousands of RPZ valves annually. Our inspectors have a combined experience of over 30 years, and take pride in protecting the health of our customers. 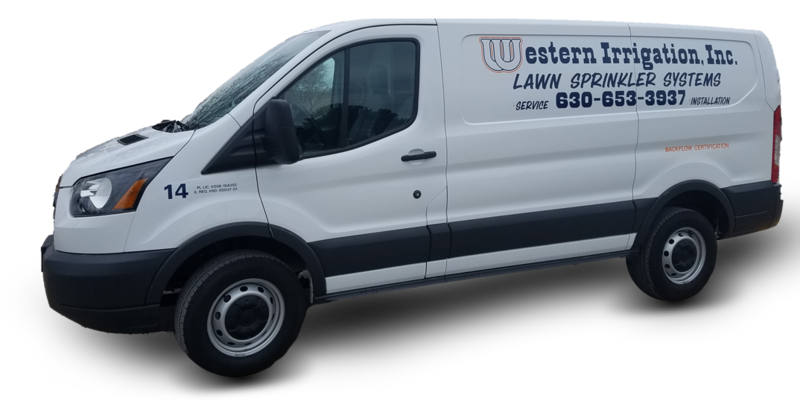 Western Irrigation is a family owned and operated business that has been installing, servicing and maintaining both residential and commercial sprinkler systems in the Chicagoland area since 1975. Our continued success can be contributed to the attention of our customer’s specific needs, combined with the highest quality workmanship and products. Western Irrigation’s goal is to create a long lasting relationship with all our customers.